Before the World Cup break interrupted the Chinese Super League, Beijing Guoan looked to be heading for Chinese Super League success. Spearheaded towards the summit of the table by their excellent foreign contingent of Renato Augusto, Jonathan Viera and Cedric Bakambu the Guoan juggernaut looked like it would power on and on until the league title was comfortably in the bag. This was an exciting development and was going to be the first time for many years that Shanghai SIPG and Guangzhou Evergrande’s firm grip on the league would come to an end. Unfortunately for Guoan the World Cup break came at the wrong time, Guoan had built up momentum and were beating teams week in, week out. The World Cup break meant that momentum had to be put on hold as the league put their feet up for a month and we all enjoyed the World Cup. Putting momentum on hold however, and coming back in the same frame of mind is difficult as Guoan have found out, to their demise. After the World Cup break both Shanghai SIPG and Guangzhou Evergrande have come back like teams possessed not to lose their hold on the Chinese Super League, they have slowly clawed back Guoan’s lead and Guoan have struggled to retain their position at the Chinese Super League summit. 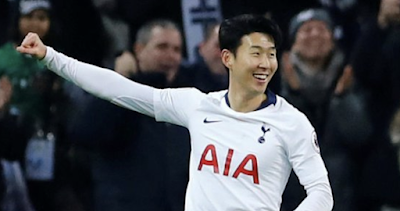 For whatever reason, they haven’t been able to maintain the same level of results after the World Cup, and that combined with the form of the two Chinese Super League powerhouses has saw them in trouble in their attempt to be the league champions this season. This has had Guoan looking over their shoulders looking at the two juggernauts charging right up behind them, maybe the pressure has got to Guoan, and that has meant they have been unable to keep on pulling the same results out the bag as they had been earlier in the season when the pressure wasn’t there because even though they were winning no one was talking about them winning the title at that point, but after the break they were being spoke about constantly as being in for the title, squeaky bum time has obviously got to them. This weekend, Beijing Guoan had an away fixture at bottom of the table side Guizhou Hengfeng in a tie that Guoan would have been expected to win. Guizhou have been losing regularly and have been rooted to the bottom of the table for months, they look certainties for relegation; the arrival of Dan Petrescu as manager hasn’t done anything to look like changing that either with no improvement being made in the results so far. This weekend that was all to change in a result that no one saw coming, Guizhou defeated Guoan 3-2. 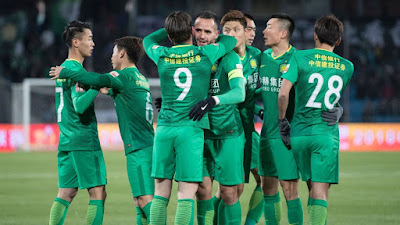 A result which still is unlikely to get Guizhou out of the relegation that has been looming over their should all season, but it is a result that is likely to end Beijing Guoan’s title hopes. That now leaves Shanghai SIPG and Guangzhou Evergrande as the two remaining teams fighting it out to be Chinese Super League champions.